Hamiltonian Gallery is pleased to present a new two-person exhibition: Magnolia Laurie, holding up; Jon Bobby Benjamin, going home. 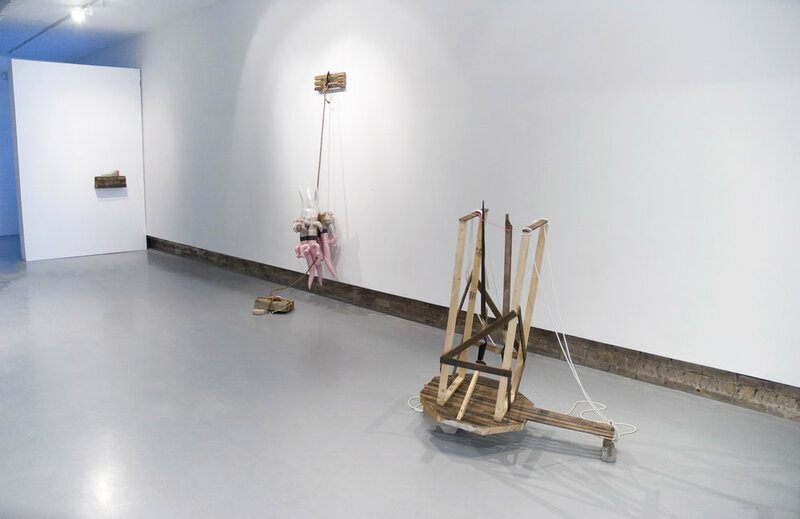 Both Laurie and Benjamin have employed the politics of place, each highlighting the debris of our throw-away culture, breathing new life into the idle spaces and objects which surround us in an ever-expanding eld. In her new series, holding up, Magnolia Laurie illustrates geometric structures that depict cumulated residual heaps of natural and man-made materials that remain after a storm. 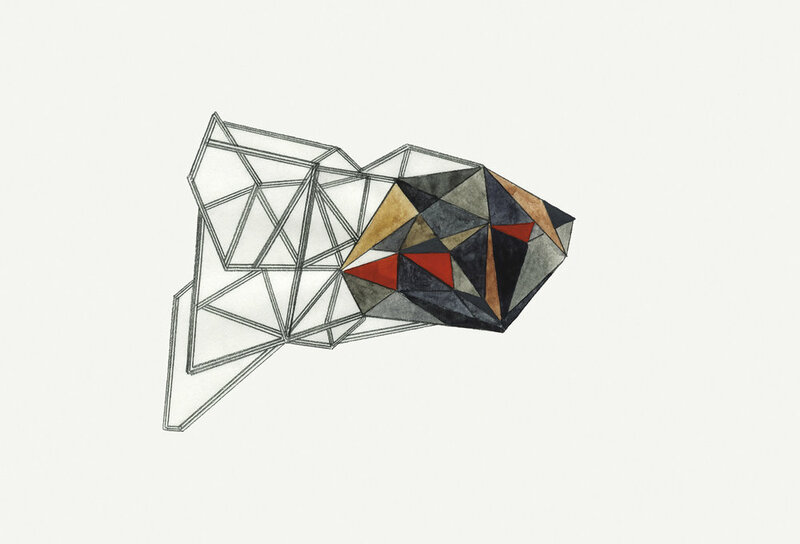 Seemingly disordered, her paintings are composed of architectural elements that suggest the engineering of Buckminster Fuller’s Dymaxion as well as the intricate weaving of bird nests. These delicate, precarious systems in Magnolia Laurie’s paintings speak of endurance, survival, the activity of dwelling and “making-do.” Jon Bobby Benjamin’s new work, Going Home, re ects his physical exploration of the natural world. 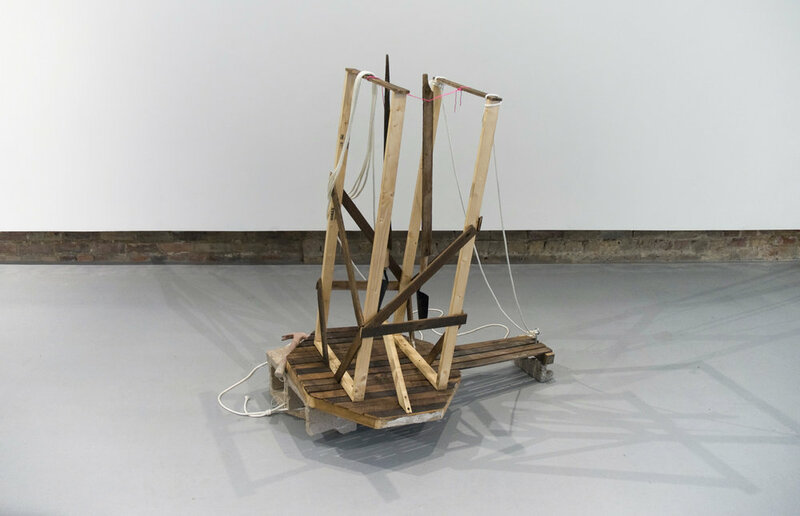 Benjamin creates sculptural amalgamations of familiar industrial materials and found maritime ob- jects. 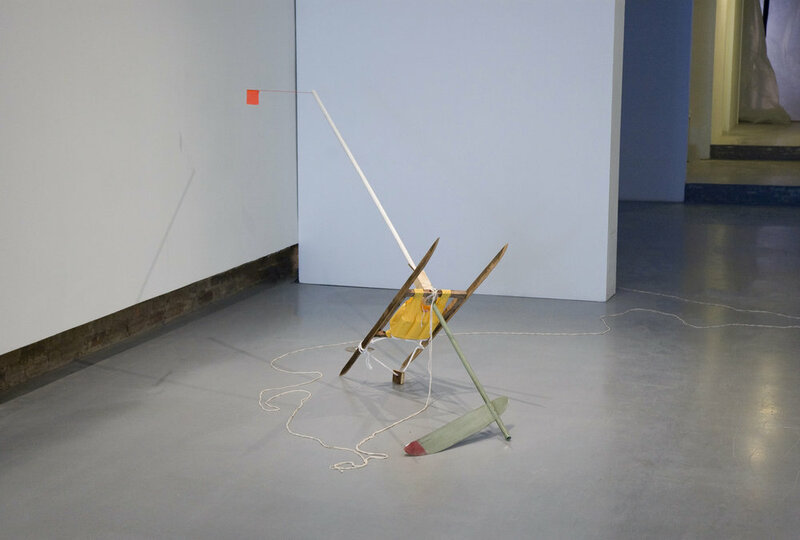 Consisting of buoys, docks, channel markers, and tide bells, Benjamin creates systems that are seemingly inaccessible and unreadable. These irrational arrangements distill a sense of timelessness, placeless-ness, and solitude.